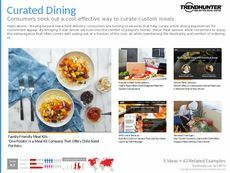 Find Better Ideas, Faster ® with a custom meal delivery trend report, our PRO Dashboard and 80+ categories of premium trend reports. 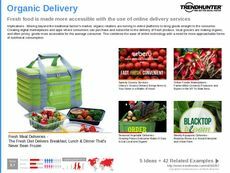 The Meal Delivery Trend Report examines the changing nature of how customers consume food in the modern world. 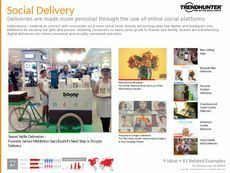 As more people opt for easier ways to order meals, the methods of delivery have also begun to become increasingly sophisticated in order to meet demand and set the service apart from the competition. 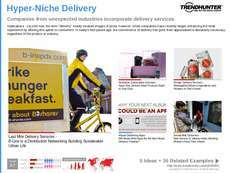 In this cutting-edge report, we explore numerous contemporary ordering and delivery methods, including autonomous delivery robots, drone delivery drops, air-powered delivery bikes and more. This report features a collection of groundbreaking delivery trends that industry leaders can study and learn from to help kickstart their own innovations. Those in the food service sector will be provided with our expert research guidance for how they can improve their own delivery systems. 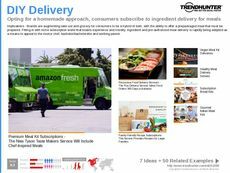 Use Trend Hunter's Meal Delivery Trend Report to study and learn from some of the most creative delivery innovations in the industry.